Below you'll find the new music video from Hezekiah Jones, a.k.a. Raph Cutrufello, for the track "How the Wind Loves You," which was directed by Dan Collins. It's the third offering from his forthcoming album, In Loving Memory of oosi Lockjaw, which will be released on November 13 via Woodfarm Records. 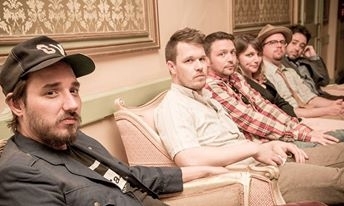 The Joneses will be celebrating their release on November 14 at Ardmore Music Hall with West Philadelphia Orchestra and Lauryn Peacock.